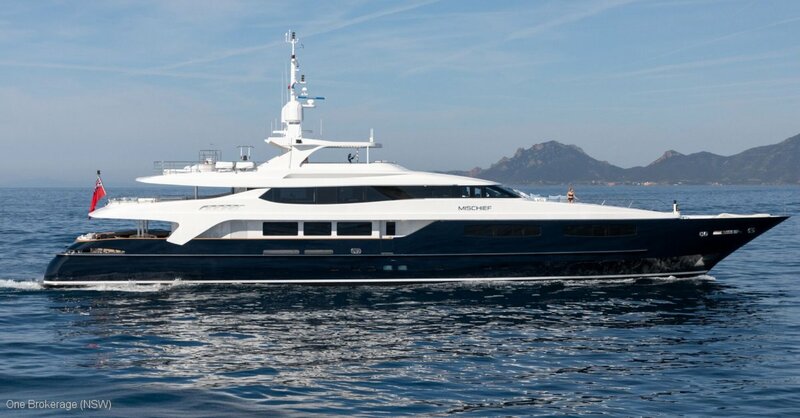 Existing charter yacht boasts an elegant, modern interior look with a fresh and highly sophisticated ambience. Accommodation for 12 guests in six state-rooms including a luxurious full-beam master suite, three double guest cabins and two twin guest cabins. Beautiful furnishings and seating feature throughout the living areas create an elegant and comfortable atmosphere. The impressive leisure and entertainment facilities make her the ideal charter yacht with a pre-existing booking schedule and guaranteed income. Stabilisation systems reduce any roll motion effect and ensure the ultimate comfort at all times. With a cruising speed of 14 knots, a maximum speed of 17 knots and a range of 4,500 nautical miles, she is the perfect combination of performance and luxury. 6 plus crew for 14.